There a lot of free books available in the .pdf format as well as technical publications and the ubiquitous instruction manuals that all come in adobe.pdf format. For example; I find it useful to have some recipes on my kindle and these can often be downloaded as a pdf file. If you like a new book you will probably love a kindle gift card so you can choose a book whenever it takes your Fancy without having to worry about the price tag. Amazon gift Card. If you own a Kindle 3 or newer version of the kindle range your kindle will be able to read .pdf files. 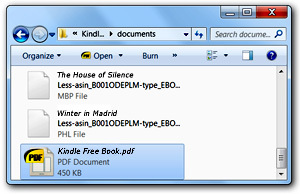 A pdf file (portable document format) is a file that looks like a printed document and can be viewed on your computer either with adobe reader a free program or via an adobe download to your browser. There a lot of free books available in this format as well as technical publications and the ubiquitous instruction manuals that come in a .pdf format. Some kindles will have no problem reading these in fact all of them since version 3. Its a simple process, so if you haven't already done this it may be worth having a go. 1. Download a .pdf file from the internet to your computer. 2. plug your kindle into the usb port of computer via the kindle cable. The computer will recognize the kindle quickly if you have done this before. (If you haven't your computer will find the software needed for you and load it within a few minutes). 3. 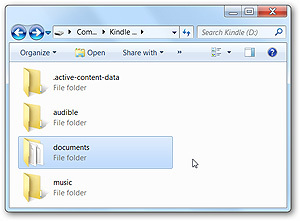 Open the kindle drive on your computer and look for the "Documents" folder. 4. Open the "Documents" folder and copy your .pdf file into this folder. 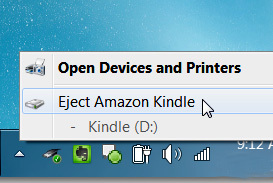 5 Eject the device using the Safely Remove Hardware icon on the computer desktop. 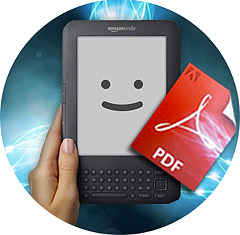 Unplug the kindle and your .pdf file should be ready to use. I should add that not all pdf formatted books are the same. You may find you have to do more page turning than normal as you may not have the same amount of font and spacing control that you have on a regular kindle book. They should all however be readable and can always be deleted the normal way at a later date. 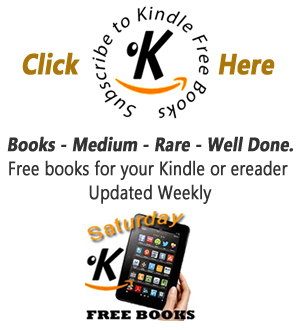 Might I also suggest here one of our very own free books advertised each day on kindle free books and perhaps a gift token Something to read now and something to choose later.